KUALA LUMPUR: Datuk Seri Najib Razak was one of the directors in Yayasan Rakyat 1Malaysia (YR1M), the High Court was told today. Deputy registrar at the Registrar of Companies Commission Malaysia (CCM) Muhamad Akmaludin Abdullah said the ex-premier was appointed as the director of YR1M on Jan 11, 2013. He was testifying as the first prosecution witness in Najib's trial on his seven charges involving RM42 million in SRC International Sdn Bhd funds. Akmaludin, 35, when cross-examined by Najib's lawyer Harvinderjit Singh said Najib was one of three directors appointed on the same date. Harvinderjit: The directors of YR1M appointed were Che Lodin Wok Kamarudin, Mohd Najib Razak, Wan Ahmad Shihab Wan Ismail, on Jan 11, 2013, the same day the company was established. The witness who has worked for CCM since 2007 also confirmed that SRC International was established on Jan 7, 2011 and the company's shares was not owned by 1Malaysia Development Bhd (1MDB). "On the date SRC was established, the shares in the company (YR1M) were not owned by 1MDB?" Harvinderjit asked. To this Akmaludin also replied, "True." He also confirmed that the company's name was maintained as SRC International Sdn Bhd since it was established. The trial continues at 2.30pm today before High Court judge Mohd Nazlan Mohd Ghazali. 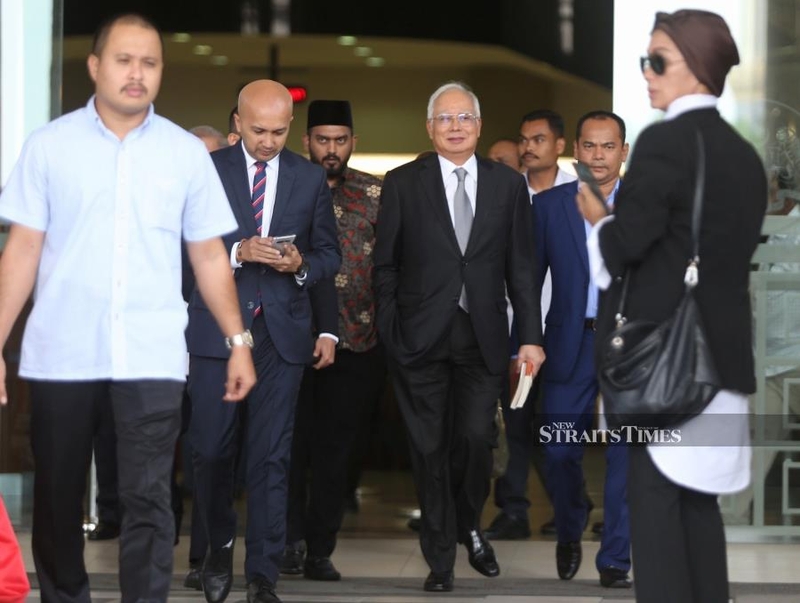 Najib, 66, is facing trial into three counts of criminal breach of trust, a charge of abusing his position and three counts of money laundering over SRC International funds amounting to RM42 million.